It would take countless trips to see and do everything on Roanoke Island, NC! As the location of the first attempt at English colonization, Roanoke Island is rich in history and legend. Nature lovers will be enthralled by the variety of wildlife, and everyone will appreciate the gorgeous maritime landscape. Roanoke Island and charter fishing go hand in hand. Roanoke Island's close proximity to Oregon Inlet makes it a prime location for charter fishing vessels to dock. Both inshore and offshore fishing excursions are available. 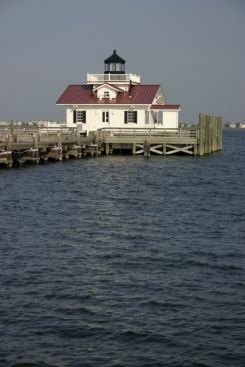 Part of the fun of visiting Roanoke Island is exploring the unique shops, galleries and boutiques. These charming businesses welcome visitors and make you feel right at home. In between sites and shopping, be sure to visit one of the many locally-owned restaurants on Roanoke Island. Sun Realty's Roanoke Island "Don't Miss List"
First Fridays in Historic Downtown Manteo. Series of lively and family-oriented street festivals held the first Friday of each month from 6:00-8:00 pm on the Manteo waterfront. Magicians and period actors mingle among the crowd while musicians entertain, shopkeepers offer sales, and eateries serve a variety of delicious foods. Elizabeth II State Historic Site. 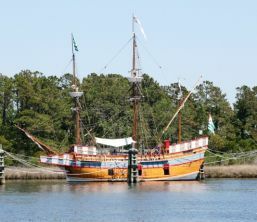 Visit the exact replica of the 16th century ship that carried Sir Walter Raleigh to the New World in 1587. Costumed staff members portray colonists and mariners to bring the voyage back to life. While you are there, visit the Fort Raleigh National Historic Site. Here is where Sir Walter Raleigh, his explorers, and fellow colonists first established in the America in 1585. The Elizabethan Gardens. This 16th century formal garden consists of masses of varied plants that bloom all year round and flower-bordered walkways stands as living memorial to colonists depicted in The Lost Colony. The garden is open year round for enjoyment. The Lost Colony. 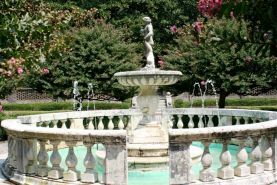 This outdoor theater play was written by Paul Green, and recounts the activities of a 400 year-old mystery that still haunts Roanoke Island. In 1587, over 100 men, women and children disappeared without a trace, only a few years after their arrival in the New World. The outdoor drama takes place in the Historic Waterside Theater. North Carolina Aquarium. Located on Roanoke Island, visit Neptune Theater for short informational movies in sharks, fish or other wildlife. Other attractions include a coastal freshwater exhibit, we tlands exhibit, marine communities exhibit, hurricane exhibit, and the Graveyard of the Atlantic exhibit. 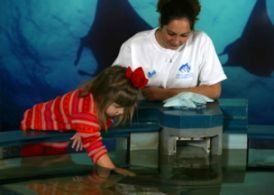 Not only will you learn about marine life, but you will also have the opportunity to pet string rays and starfish, and view sharks and other salt water marine life at the Graveyard exhibit. Roanoke Island Festival Park. Celebrate the history of Roanoke Island, the birthplace of English America. Education and arts. Alligator River Wildlife Refuge is located on the North Carolina mainland. Established in 1984, these 152,000 acres are home to many species of wildlife including many threatened or endangered species.